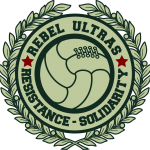 Home / Rebel Ultras Groups- Latest News / Europe / Gate 9 / Omonoia 1948: They didn’t begin, they’re continuing! The Gazzetta Weekend Journal talks with fans of Omonoia, who decided to create their own football revolution, commencing from the amateur league and continuing their team’s tradition in Cyprus. It is September 8, 2018. 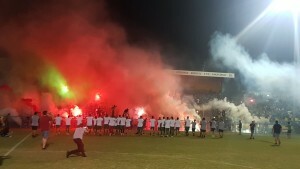 The Cypriot Championship (on an amateur level) has not yet begun, but in the Lakatamia area of Nicosia, a real party is underway. Smoke grenades and slogans from hundreds of people and a huge banner, illuminated by pyro. “History is made by those who resist,” read the banner. The fans wear jerseys with clovers. On the pitch there is no game, only the first training session of a newly established club. People’s Athletic Club Omonoia 1948 is the fans own response to modern football, to their recent alienation through the sale of their once beloved club- AC Omonoia. Reason for which has pushed them in deciding to rebuild a club, from its beginnings, on foundations that had been planted since a long time. Omonoia, which is an athletic club, among other sports had a football division, which was overwhelmingly popular. Suddenly, however, the division was passed onto a company and the club was left with debts, and only its other sport departments. 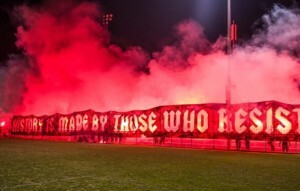 The fans then decided to bring the club back to its basic principles, by setting up a new club with a new football team! But let’s take things from the beginning. The relationship between politics and football in Cyprus is quite peculiar and differs significantly from Greece. Omonoia, for many years, is the stronghold of the Left. Its foundation was at a time when working class struggle had reached its climax. Cyprus experienced “Bloody January” in its own way and the island’s working class rose up against colonialism. Omonoia was born in 1948 and was the result of the civil war in Greece when the right-wing clubs called on the athletes to sign in favour of the King. Several of them voluntarily left or were expelled and in 1948 the “clover” of Cyprus was born. 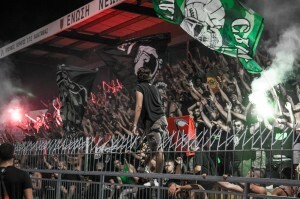 Omonoia evolved into the most popular leftist club in the island and one of the most popular in general. They dominated the football pitch and won several championships and cups, while pioneering in several areas of the sport. For example, it was the first club to travel abroad for pre-season training, the first that signed on International players (mainly from former Soviet bloc countries) and so on. With the fall of the Soviet Union, however, its relationship with AKEL, the political party which evolved from the Cyprus Communist Party, had begun to be problematic. In the football division, the decision making process, and bureaucracy, that stemmed from party actions was hindering the club. The club lost access to players from the former Eastern Bloc, and centralized leadership did not allow for modernization. Omonoia remained a club of a closed group of people who dictated the club’s fate. These problems also had an impact on the pitch, with the club’s dominance weakening and expectations diminishing. It is characteristic that the “People’s Team” finished fourth for the first time since 1958. In 2008, club President Doros Seraphim resigned and the team was taken over by Miltiades Neophytou, who was a choice of the political party AKEL, as the party continued to always have the first say. His arrival was accompanied by hype, but his administration resulted in sky-rocketing the club’s debt. 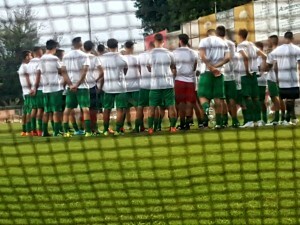 The People’s Athletic Club Omonoia 1948, held its Founding Assembly on July 23, 2018. In its announcement it called for supporters to take part and stressed that: “We are a new Club but with very old roots, a Club that arose through a need of those who were left without a football club, a club whose football team will not have fans but the fans will have a football team. We are the ” People’s Athletic Club Omonoia 1948″ and we come to stir up the stagnant waters of Cypriot society.” From the very beginning, the new club had over 550 members overnight! Together with the junior members it exceeds 600. Each member has one vote and the Board consists of 11 people, without a chairman. Administration is horizontal. Every individual of the Council, depending on his or her area of ​​responsibility, has a committee under their control, in which club members can become freely involved. But how was the whole startup process? A member of the Council that was involved from the first moment explains: “First of all, there was huge stress, but we are a stubborn bunch! I don’t believe you know the situation in Cyprus, but things are controlled by the parties. To get approval from the District Governor we needed our daily presence at his office and constant questions as to why they were late in answering our application. When we got the final approval everything was still uncertain because there are 12 Federations in “amateur football” in Cyprus. The four belong essentially to AKEL, the other four are controlled by “Sinagermos” (right wing ruling party), so four independent ones were left. Of these, as you may assume, some clubs, are connected to AKEL, and some to Sinagermos. So we continued looking. As in 1948, football was split into right and left federations, right-wing and left-wing clubs. No federation accepted us and when one finally did, nobody wanted to give us a pitch to play in! To their credit, Orpheas of Nicosia, who is a left-wing club, gave us their pitch for our training and we managed to find a pitch to play our home games at Thoi in the Lakatamia area of Nicosia”. The “new” Omonoia – a name that isn’t embraced by its founders, who argue that New is the name of the Football company and not them, starts from the lowest division of amateur football. Its first target is to find itself within the four teams that will progress to the fourth division. Being a new club and despite not having a major budget, the club has managed to attract professional or semi-professional footballers. Their goal is to remain faithful to their values ​​and at the same time run as a professional club, but without selling their soul to what modern football entails. To avoid anyone being alienated and at the same time continue their social action. They have already participated in the nationwide teachers’ strikes, organized a fundraiser for those affected by the fires in Attica and more action is to follow. At the same time, they took care to organize cleaning groups and left the stadium spotless after the first training session. For its footballers, it’s an amazing feeling to turn their heads round and see masses of support, at this amateur club level. Thousands of supporters that are somewhat a guarantee of the club’s future. The dream, of course, continues through People’s Athletic Club Omonoia 1948. With plans for better organization, official merchandise, football academies, and constant progression through division football. What is of utmost importance though is that the Omonoia Fans are living their own thing, without political party involvement and without the need of foreign help.